In his key note address - via video conference -- to the Berkeley India Conference, Mr Jaitley said that there is public support to the reforms being undertaken by the governments of the day both at the centre and the state levels. 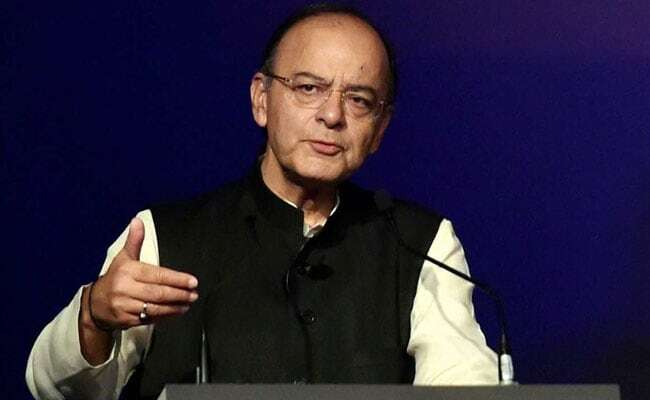 Washington: The Narendra Modi government's initiatives like Swachh Bharat, Goods and Services Tax (GST) and demonetisation are having desired impact, with the latter two resulting in increasing tax compliance and squeezing quantum of cash in the economy, Finance Minister Arun Jaitley has said. With young population there is not only a perception that they are being 'under serviced', but also, they are becoming more and more aspirational. "Time therefore is running against us," Mr Jaitley said. In the next one or two decades, if India has to take a challenge for moving into a higher economic group country, "we have to grow at a much faster pace," he said. Mr Jaitley in response to a question refuted the impression that transformational initiatives like Swachh Bharat, GST and demonetisation have not resulted in the desired changes on ground. "Would you say there are long term benefits and the country would have to wait for those? Or is there any way to mitigate the problem being faced by the country," the Union Finance Minister was asked. A more serious analysis, he argued, would show that even within matter of months there is a short term positive impact of all these projects. Observing that sizable progress is being made in terms of sanitation and cleanliness, he said for the first time in Indian history this has become a centrestage agenda and is moving forward. The campaign is having both short term and long-term impact. "It's a movement that has become far beyond a governmental program. It a mass movement," Mr Jaitley said. Before demonetisation, Indian normal was to live with a high cash economy, not paying taxes, "you buy a property, you transact partly in cash, and in business you maintain two sets of accounts," he said. And therefore, "you need to shake the system" in order to reduce the quantum of cash in India and therefore obviously to make it a more tax complaint society, he observed. Cash itself involves several challenges. It leads to corruption and several other problems. "Let's see for even those why say that there is no short-term advantage, has the number of tax payers in India immediately increased in the matter of months? The truth is, it has. In the immediate aftermath of demonetisation, Mr Jaitley said there has been a sharp reduction in insurgent and terror activities in states like Jammu & Kashmir and Chhattisgarh. The funding of the terror itself has gotten squeezed, he told students at Berkeley. "You are having terrorist incidents (now), but the fact that you were finding 5,000-10,000 stone throwers being provided with money by terrorist organisations, why is it that in the last 8-10 months it has not happened?" he asked. Moving on to GST, the minister said this has resulted in creation of a national tax structure. "In the three months, you have all the check points in states disappeared, you have clear flow of goods and services which has started all over the country," he said, adding that companies are sharing information about the distributors and retailers. Slowly the whole chain is becoming simpler and transparent, he said, adding that today many more people have registered themselves. Acknowledging that the problem with them is related to compliance burden, Mr Jaitley said the GST Council has noted these challenges and is taking steps to address them. "But in terms of cash collection, the whole process going online, the process of ... coming down, ...one thing I can tell you the tendency of some to have the whole chain operate in cash will suffer a setback," Mr Jaitley said. GST, he said has been a "reasonable smooth transformation," but there is scope for improvement. "I think in GST Council we have succeeded in creating India's first federal institution," he said. Responding to questions, Mr Jaitley said the Indian government wants to encourage startups. He said India now has an aspirational population which wants changes and reforms at a fast pace itself, but also are impatient in this regard. India, he told the Berkeley students, has transformed out of a more conservative mindset and is not tuned to getting integrated globally much more than it was in the past. Identifying corruption as one of the two stigmas for India, Mr Jaitley said the institutional mechanism to fight corruption has become much stronger. Asserting that direct taxes have to become "more rational and more reasonable" the Union Finance Minister said he has already announced a road map to bring down the corporate tax to about 25 per cent and is trying to ensure that India becomes a far more compliance society and also tax assessment is more technology driven rather than human interaction.